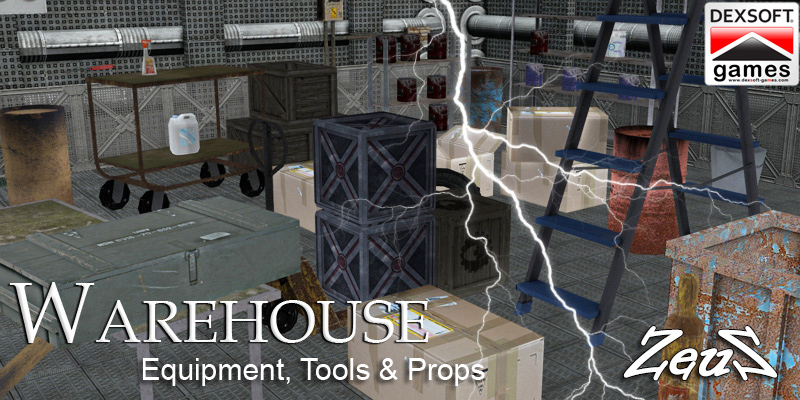 Warehouse Equipment - Set of 60 props to fill your warehouse scenes for more realism. Description: Set of 60 props to fill your warehouse scenes for more realism. Includes 9 different cartons, multiple drums and barrels, garbage dump, bottles and tools, numerous dollies, shelves and more. Always wanted to work in a warehouse.